Commerce Bancshares, Inc. (CBSH)operates as the bank holding company for Commerce Bank, N.A. that provides various general banking services to individuals and businesses. It operates in three segments: Consumer, Commercial, and Wealth. The company is a member of the dividend champions list, and has increased dividends for 42 years in a row. In addition to paying a cash dividend, this bank also pays a 5% stock dividend at the end of each year. Over the past decade, this dividend stock has delivered an annual total return of 7.50% on average. 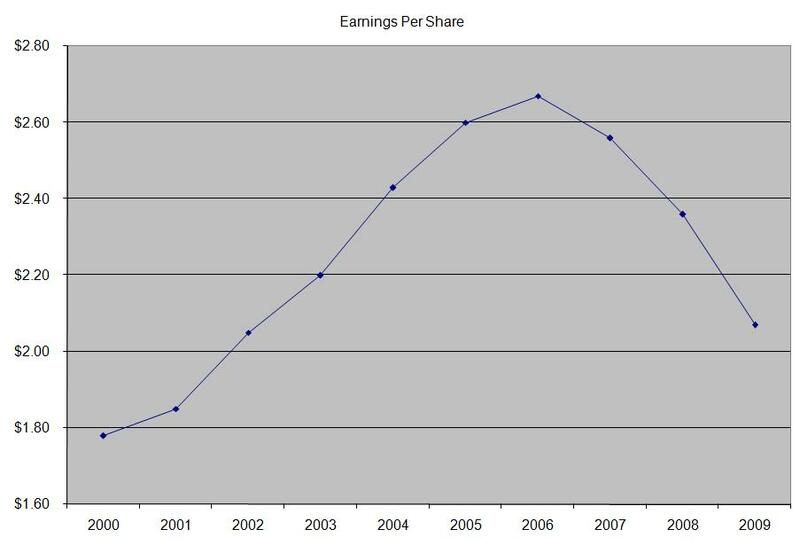 At the same time earnings per share have increased only by 1.70% since 2000. The EPS trend has been down since 2006. 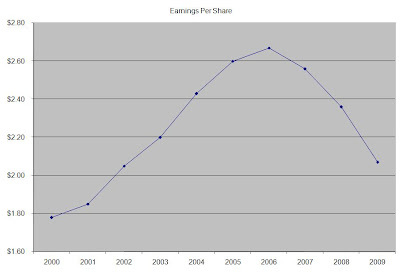 For 2010 and 2011 however analysts are expecting EPS to increase to $2.63 and $2.93. This would be much higher in comparison to FY 2009 EPS of $2.07. This regional bank is one of the financial institutions that didn’t cut dividends during the financial crisis. 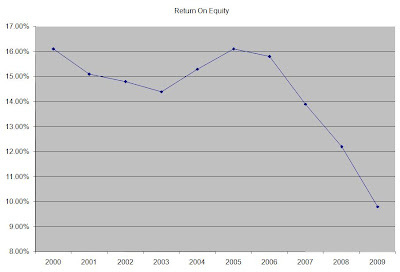 Over the past decade the company has also managed to decrease the average number of shares outstanding by 2.5% annually. The company generates 61% of its revenues from net interest income, 12% comes from Card Income, while service charges and wealth management account for 10% each. 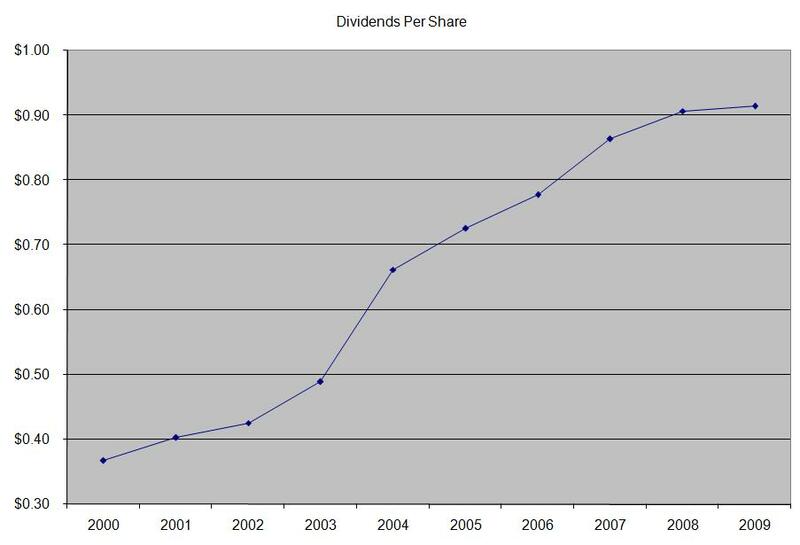 The annual dividend per share has increase by 10.60% per year since 2000, which was higher than the growth in EPS. 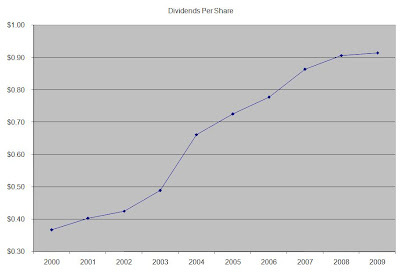 A 10% increase in dividends leads to dividend payment doubling every 7 years on average. 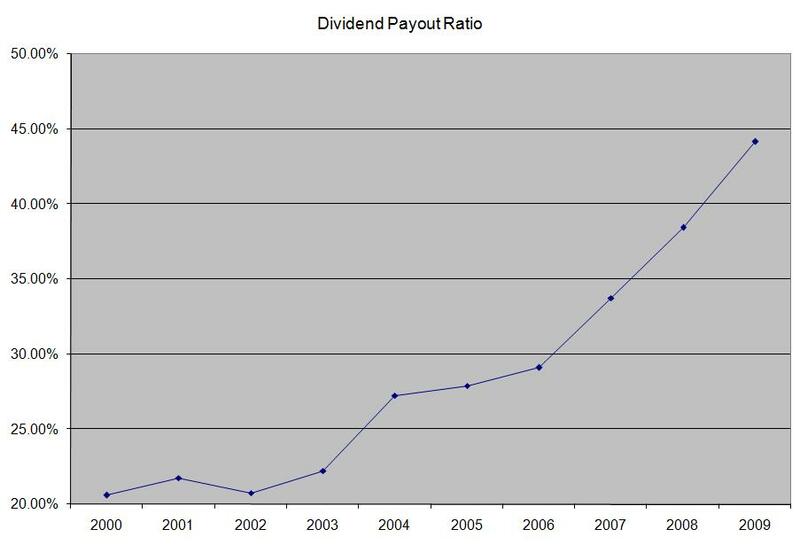 Since 1986 the company has indeed managed to double its dividend payments every seven years on average. 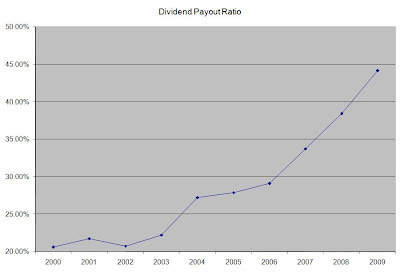 The dividend payout ratio has doubled, mostly due to the fact that the company has shared a higher proportion of its earnings in the form of dividends and due to the downward trend in earnings since 2006. 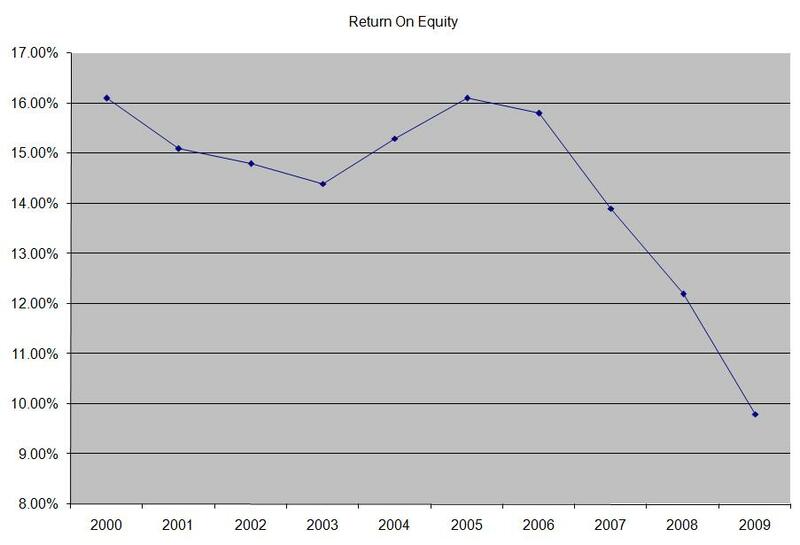 Between 2006 and 2009, the return on equity has been decreasing sharply from 16% to less than 10%. This was in contrast to stability in the ROE between 14 and 16 over the preceding five years. Overall I find Commerce Bancshares to be attractively valued at 15.50 times earnings, yield of 2.50% and having an adequately covered dividend. I would consider initiating a position in the stock on dips below $37.60.